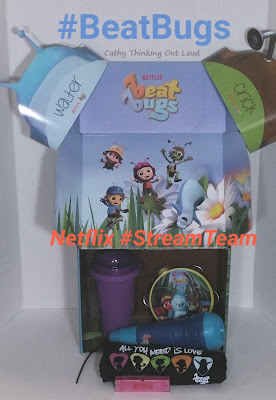 All you need is love and maybe a couple of Beat Bugs. Music is the perfect way to show and share that love with your kids! Since our kids were very young we've shared a variety of types and genres of music with our kids. Everything from Kiran Ahluwalia's collection of Ghazals and Punjabi Folk Songs of India to Japanese Monks Playing Drums to the soundtrack from The Big Night. There are certain songs (most from the 80's) that my kids associate with being toddlers and car rides with their mom. Many a spontaneous dance off to Mambo Italiano from The Big Night soundtrack have taken place in our livingroom. And who says Green Day isn't perfect breakfast sing-song music? There's a magic to music that goes way beyond the melody and lyrics. 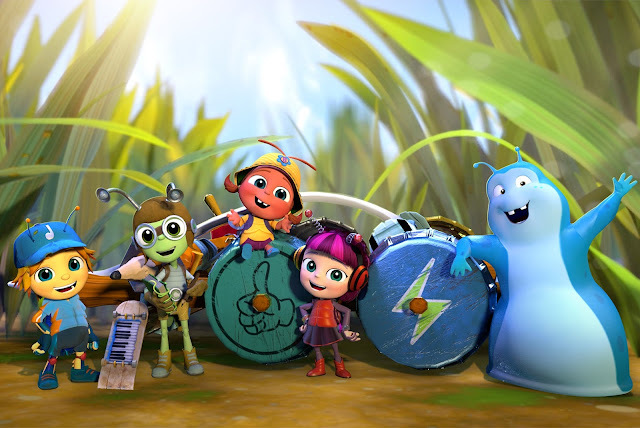 Netflix's new original kids series Beat Bugs is inspired by the music of the Beatles and a wonderful way in which to share with your kids the magic of music. "All you need is love" or "There is nothing you can do that can't be done". Use the hashtag #streamteam to follow all the adventures of the Netflix Streamteam, and follow Netflix on twitter and facebook for updates and info. 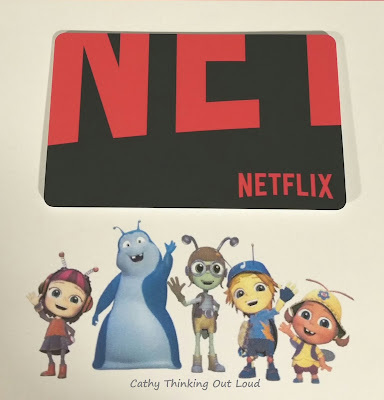 Yep, just me Cathy thinking out loud about music, love, and Beat Bugs. Note: As a Netflix Streamteam member I receive special perks for my streamteam posts and sharing. All opinions are my own. Food for Thought: Making a family dinner about more than food. We all know how important eating together as a family is, but you'll really raise the bar on the impact sharing a meal together as a family can have by purchasing a Boston Pizza Kids Card for a minimum donation of $5. starting now until October 2nd, 2016. With a single $5. donation you create a teachable moment, help kids in need by supporting mentorship opportunities, and get 5 free* Boston Pizza kids meals. As my boys head to college and university this September, I reflect on the efforts it took to get to this point, and the resources my husband and I invested to help get them here. They've benefited from close and engaged relationships with their parents, grandparents, aunts, uncles and cousins, and have no shortage of impressive role models and mentors in their family to choose from. I think about the importance of youth having people in their lives to teach, guide and model positive behaviour, and just how lucky my kids are. Sadly this isn't the case for all kids. Not everyone grows up with access to role models. mentors, mentoring programs, and financial resources to help navigate life's challenges and choices. This is why the Boston Pizza Kids Card Campaign is so important. For a minimum of a $5. donation (available now - Oct 2, 2016) you can purchase #BPKidsCards to help ensure many more kids in Canada get support and access to role models and mentoring programs. Each $5. BPKids Card purchased provides an hour with a role model for a child in need. 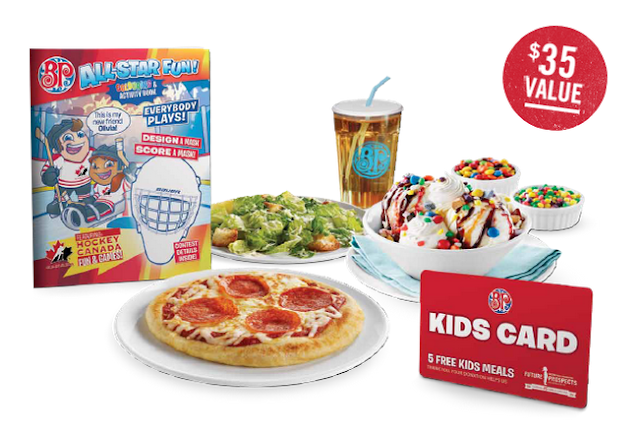 Plus your Boston Pizza Kids Card gets you 5 free* meals. That's a $35. value! If you register your BP Kids Card with a MyBP account you'll get another free kids meal, making it 6 free* meals for $5. By involving your child in the process of purchasing a BP Kids Card you have an opportunity to teach them how this donation helps the Boston Pizza Foundation Future Prospects to provide more than 200, 000 hours of mentorship to Canadian children and youth. It's an opportunity to teach them about giving back, charity and about the incredible organizations who partner with Boston Pizza Foundation Future Prospects and together provide support, role models and mentorship programs to kids who would otherwise have none. Big Brother Big Sister Canada: Helps 1000's of youth with mentoring programs and the funds raised help them "extend and expand mentoring services to new communities and youth who do not currently have access to mentoring programs". JDRF Canada: BP Kids Cards help to fund "youth ambassador programs which provide mentorship to young people living with T1D (Type 1 diabetes). Kids Help Phone: Donations help to fund their "national professional counselling services" to youth as well as "adult tools and resources and online content on their website". Live Different: Funds help Live Different to deliver high school motivational presentations to inspire youth to "embrace a lifestyle that cares about people not stuff". Rick Hansen Foundation: The Boston Pizza Foundation helps the Rick Hansen Foundation spread the message of inclusion and reach more than 500,000 kids across Canada each year with its Rick Hansen School Programs. All this for just a $5 donation! So while you and your family gather for a delicious meal at Boston Pizza think of all this meal means to you, your kids, your community and the kids you've helped to reach their goals for a bright future. Yep, just me Cathy thinking out loud about Boston Pizza Kids Cards. 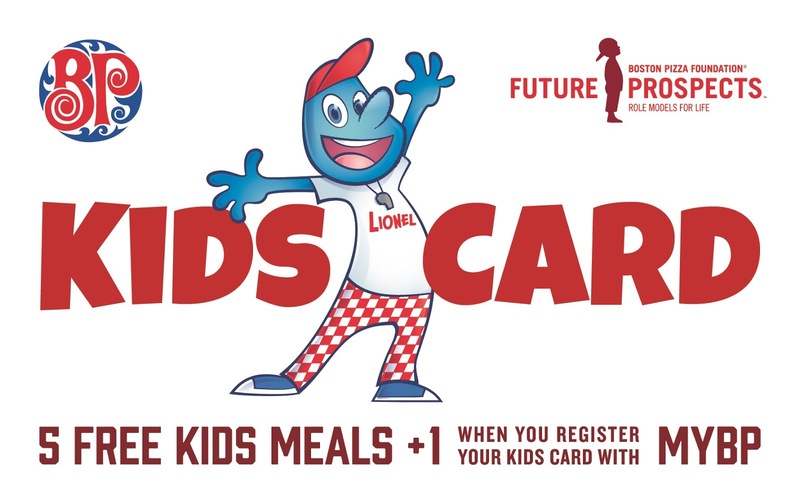 For more information about the Boston Pizza Foundation Future Prospects and BP Kids Cards follow Boston Pizza on twitter and facebook, and Boston Pizza Foundation on twitter and facebook. Note: I have been compensated for my time creating this post. All opinions are my own and on a personal note I have in the past and will continue to support Boston Pizza and Boston Pizza Foundation Future Prospects in their efforts to give back to the community. I consider it an honour to participate in this campaign. 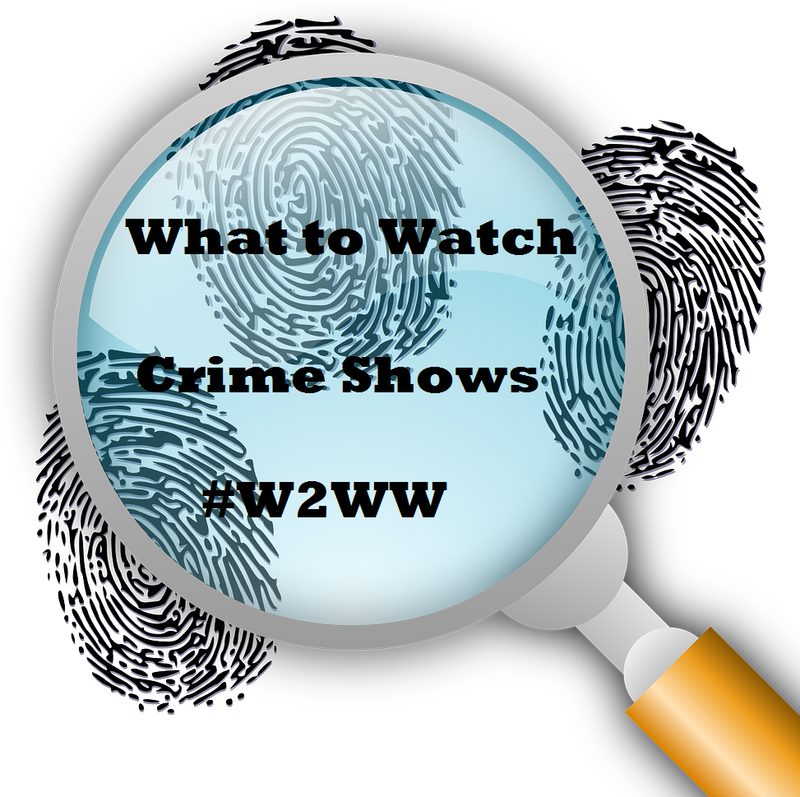 It's Wednesday, Time for What To Watch Wednesday! I've been binging on crime shows lately. As usual Wednesday is the day to share my What To Watch Wednesday recommendations on what shows and movies are worth watching. I've been on a crime show binge-fest lately. 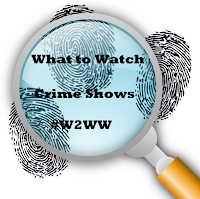 So here's an even dozen detective/crime shows to watch. All of these are currently available to stream on Netflix. It's no mystery why these series are so popular. I would tell you which ones are my favourites, but the truth is they're all very good. The last two's longevity speaks volumes. What are you streaming these days? Click Here for more recommendations on What To Watch. Yep, just me Cathy thinking about What to Watch. I said "I'd love to!" 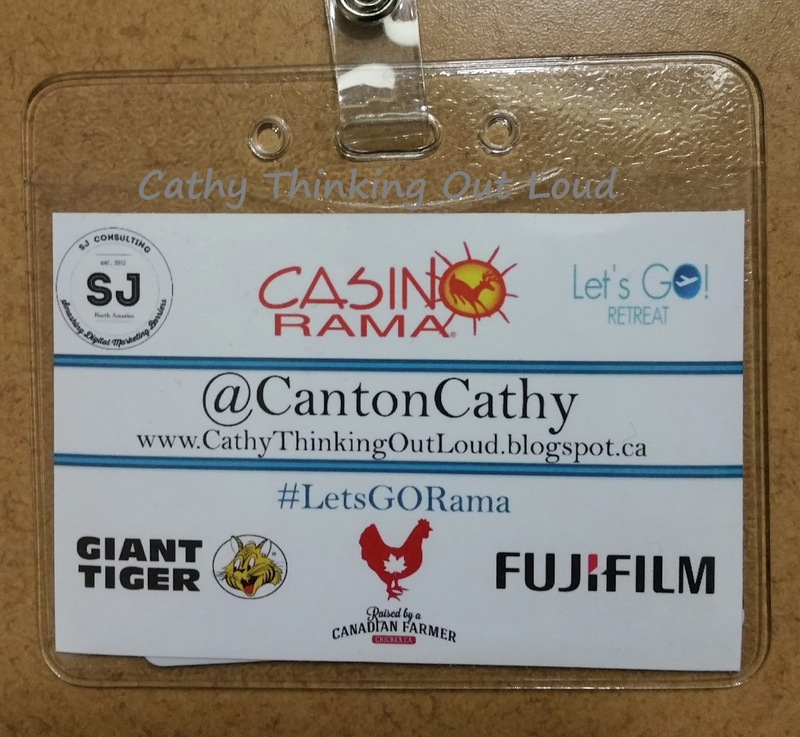 I was lucky enough to received an invite from SJ Consulting to the #LetsGoRama Retreat held at the Casino Rama Resort in Orillia, Ontario. I had heard good things about both the resort and the shows hosted there, so I was excited for the opportunity check it out for myself. 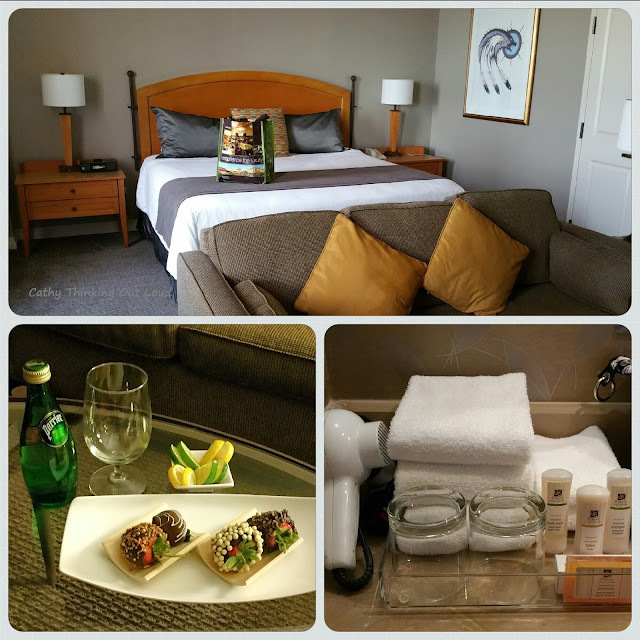 Located just under 2 hours from Toronto and 5 hours from Ottawa it's ideal for a getaway. I'll admit not being much of a gamer I had never really considered a Casino as a vacation destination. I was wrong in making that assumption. Turns out it's a perfect destination for a retreat, couples getaway, girls weekend, family vacation or to hold an event. With two kids that are of legal age to drink and go into the casino or attend a show, it's a great destination for some Mother and Son bonding time! (I suppose Hubby can come too!). The free Wi-Fi and food options don't hurt one bit either. 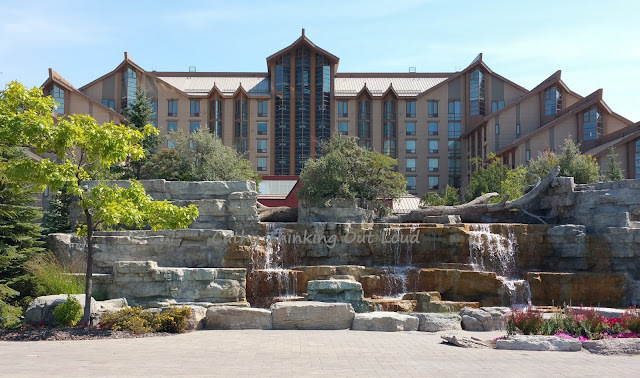 With Thing 2 headed off to university, and Thing 1 busy with college it would be a perfect reading week getaway to reconnect with my kids! I'm trying to think if there was even one moment when I felt a staff member's service wasn't outstanding and welcoming. I can think of none. The surroundings and the rooms were beautiful. But in my opinion that should go without saying at a luxury resort. What is not guaranteed even at a luxury resort, is an experience and feeling that goes beyond just being polite and efficient. Everyone was just so darn nice, and appeared to not only enjoy their job, but actually care about my stay and experience. You could see the pride they took in their work and the resort, and they were happy to be there. All the rooms at Casino Rama are suites. My suite was beautiful and spacious and perfectly designed for "me time" with a flat screen TV, Cable, Movies on Demand and a cozy sitting area with fireplace. The bathroom was truly beautiful, but more important the bed was so comfortable. I felt like Goldilocks who had just found the bed that was just right. After long days of engaging, connecting and learning at #LetGoRama a good night's sleep left me refreshed and ready for the next day. I took advantage of the option of having a fridge delivered to my room, a feature I love, and was happy to see Casino Rama had free Wi-Fi. 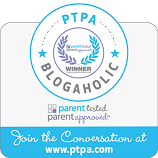 Since it's a must for a blogger, and mother of teens, it's something I specifically look for when booking a hotel or resort. There is plenty to keep everyone well fed and entertained at Casino Rama. You have 8 Restaurants and Room Service to choose from. 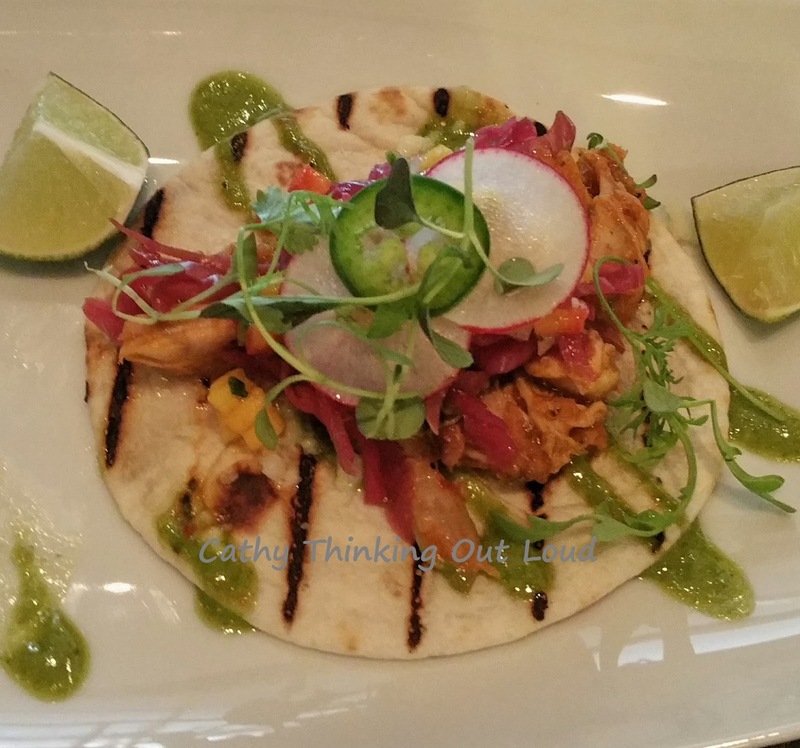 I'm stilling dreaming of the Tacos from St Germain's. Be sure to ask about how it got it's name when you're there. 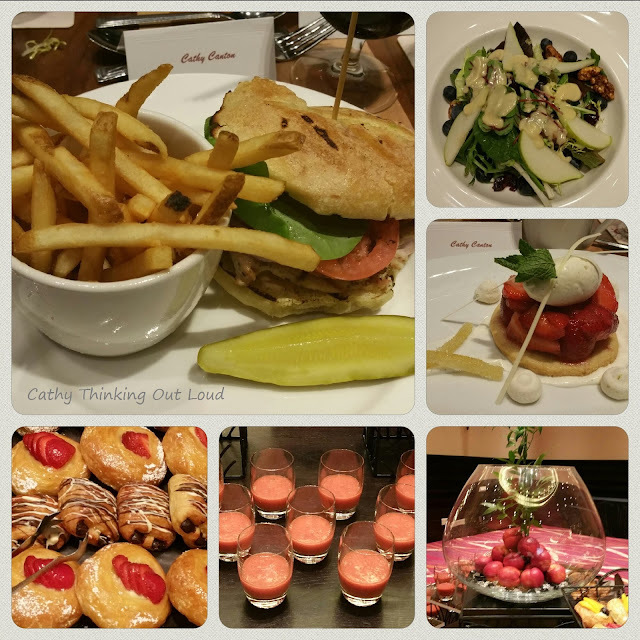 The buffet at the Couchiching Court Buffet was delicious with lots of variety and options. I was busy focusing on perogies but heard from several attendees that the Mac & Cheese was to die for! Lunch at the Simcoe Yard House was truly outstanding! And the catered meals were both delicious and beautifully presented works of art. The Balance in Life Spa offers a full range of services, treatments and packages to relax the mind body and soul. I saw many beautiful post-spa toes, and truly regret not booking myself a pedicure or a relaxation massage. It will be top of my list on my next visit, because I'm Worth It! Next to the spa you'll find a pool, sauna, steam room, hot tub, gym, and a truly lovely outdoor roof-top patio. Casino Rama's Entertainment Centre hosts a variety of events and live shows year round. 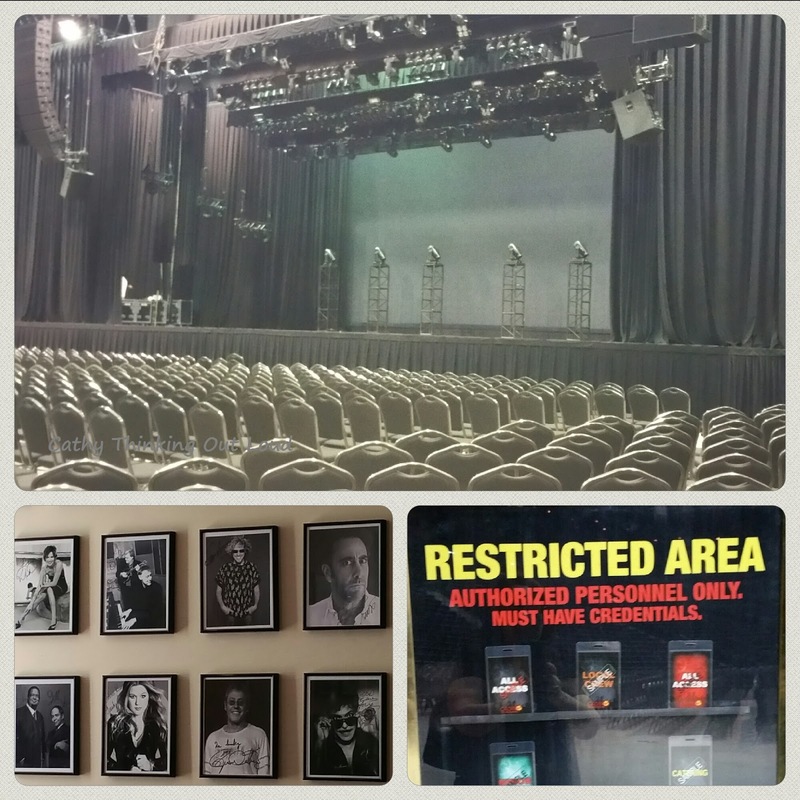 I had the privilege of a behind the scenes tour of the Entertainment Centre, and was delighted to discover there really isn't a bad seat in the house. Back stage and in the dressing rooms the walls are covered with photos of iconic entertainers who've performed at Casino Rama. I was truly blown away by all those who have taken centre stage, I had no idea, and this year's line-up is impressive! 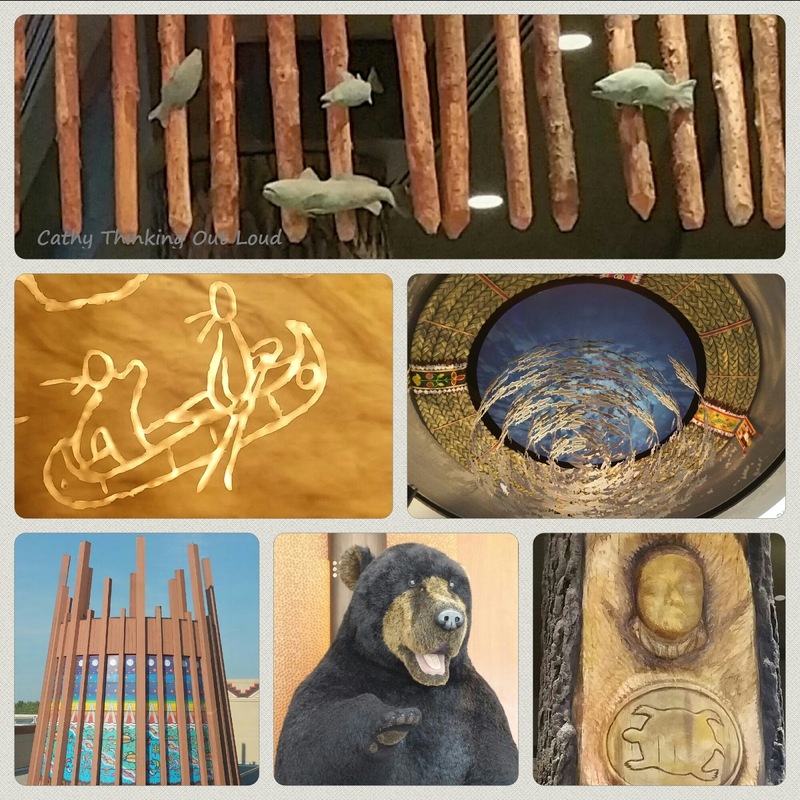 Everywhere you go in the resort you will encounter art that tells the story and proud heritage of the Rama First Nation. A walk-about to take in all the beauty is a must, and be sure to look up! Each day my sense of WOW increased. I waited for something or someone to taint the experience. No matter where I went or who I interacted with, from the front desk to the cashier on the casino floor the service was outstanding. I look forward to my next visit, and I can assure you there will be a next time! Thanks so much for the invite Julie and Stacey and to Casino Rama for my fabulous accommodations! Yep just me Cathy thinking out loud about WOW. 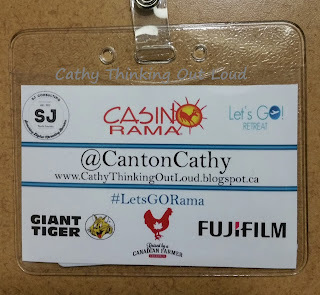 Note: I was invited by SJ Consulting to attend #LetsGORama Retreat at Casino Rama Resort free of cost. My sense of WOW and all opinions are my own. After lunch with my friend Dawn from Duelling Designs, a fellow Netflix enthusiasts, and our rather long discussion about fashion and design I decided this week's #W2WW theme would be fashion, style and fashion design. 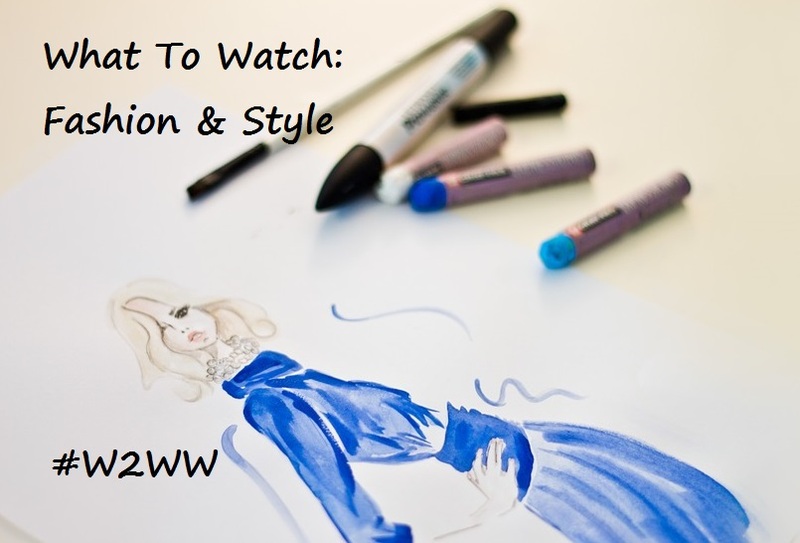 I found a number of fashion-themed movies, shows and documentaries currently available to stream on Netflix Canada. I stopped myself at these 14 but there are loads of movies and shows starring incredible style icons and inspirational style-makers and trend-setters for you to enjoy. The Director: An Evolution in Three Acts (about Gucci's Creative Director - Frida Giannini. I loved this because Gucci has long been one of my favourite fashion brands. So go on! Share with me. What's your style? and Who are your favourite fashion icons? Yep, just me Cathy thinking out loud about style, fashion and beauty. Note: I have not been compensated for this post, and my W2WW/What To Watch posts are merely something I like to share with my readers. All opinions are my own, and they are not related to Netflix or my involvement in the Netflix Streamteam. Happy Streaming!